The Original Tourist Store (T.O.T.S.) was first established in 1996, selling authentic European products. Our flagship store is close to the famous Brandenburger Gate next to the beautiful Hotel Adlon, where celebrities and country leaders have often stayed. In the beginning, we specialized in wooden toys made in Germany, and as the variety of high quality German-made products increased, we offered a more diverse variety, such as gifts, crafts, and fine souvenirs. Whether you’re looking for the perfect gift, something creative, or just looking around, feel free to come by to our store. Meanwhile, our passionate staff are more than happy to offer you knowledge and advice on our products. We offer many choices, from high quality hand made German products to post cards, souvenirs, and travel guides. Connoisseurs and collectors will undoubtedly discover many hidden treasures in our stores. 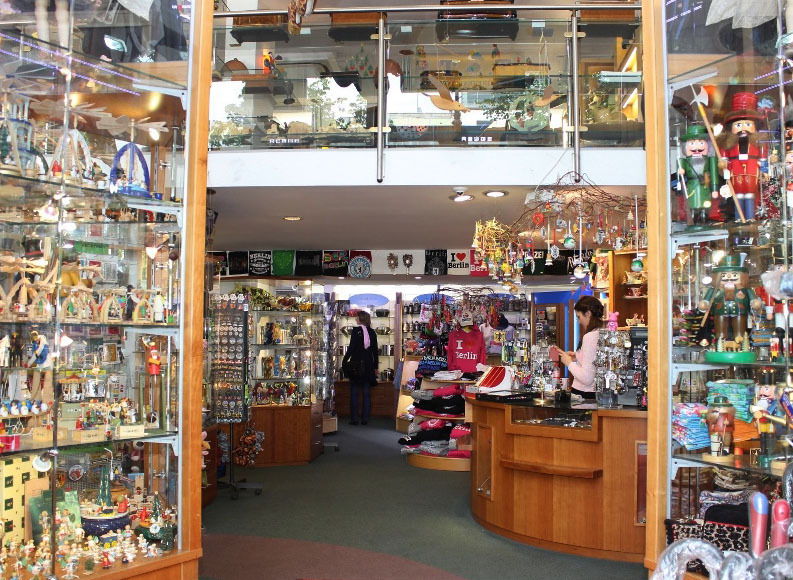 Dunoon bone china pieces, German M. I. Hummel products, artist handmade nutcracker and smoking wood doll are among the favourite collectibles for connoisseurs. We are also the biggest affiliate of the Swiss music box REUGE, the world-reknown manufacturer of delicate and accurate music boxes. In addition, the well-known Swiss army knife of Victorinox and German stainless knife of Zwilling can be easily purchased here. Adhering to our company´s business concept, we offer diverse products at reasonable prices. All German made and highly prestigious, our products guarantee a satisfying shopping experience. It is our honour to serve you with our multi-lingual staff who are highly knowledgeable on our products, and can also arrange to ship your purchase to hotels and even world-wide.